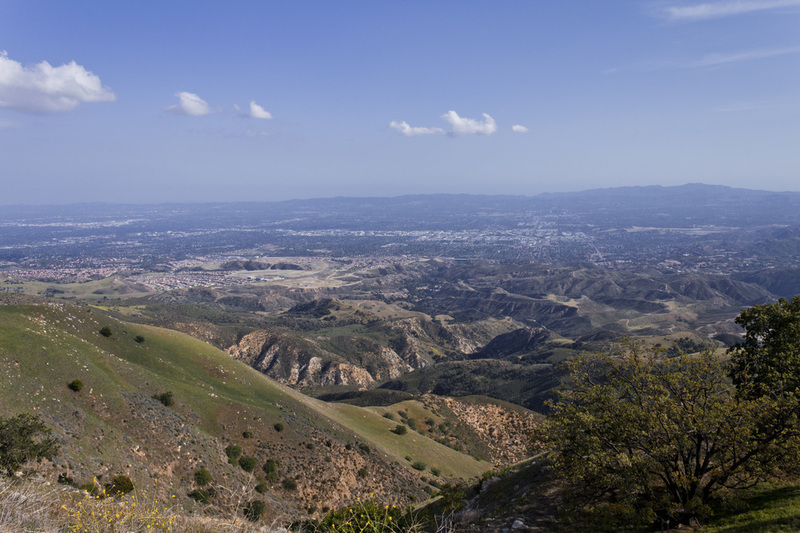 For a decidedly different view of Los Angeles, consider this 6.4 mile roundtrip hike to summit of the highest peak in the Santa Susanna Mountains. The trail follows the paved Browns Canyon Road all the way to the top. Vehicular traffic is prohibited so you can expect to have the road to yourself. 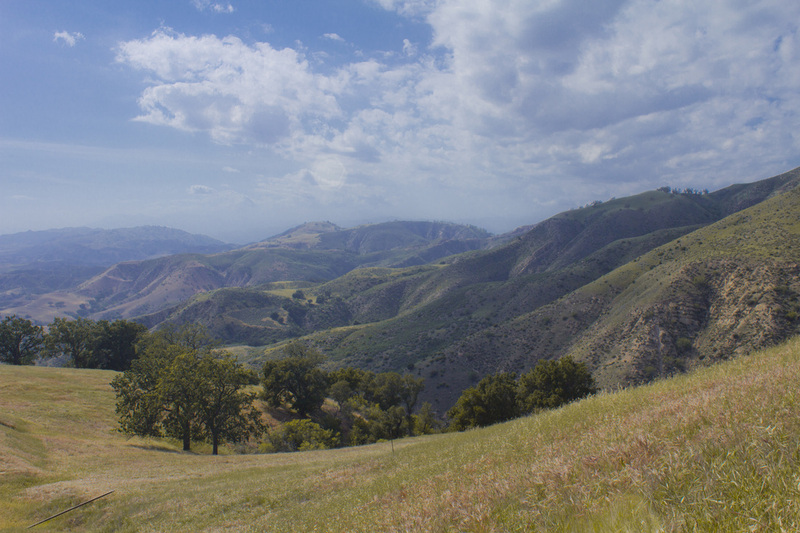 The trek is steep and strenuous, but along the way you will be treated to rolling hills of grass with great views of rocky outcroppings and narrow canyons in all directions. There is also the added bonus of walking though a bit of Los Angeles history. 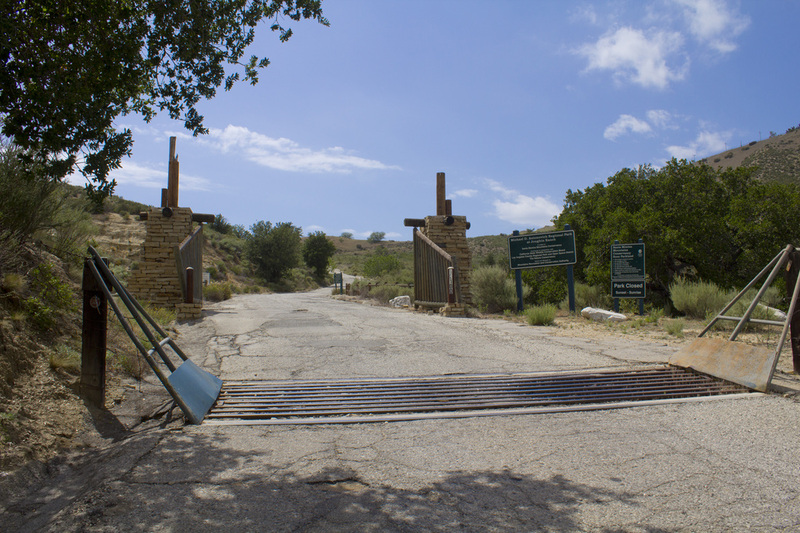 At around a mile into your hike you will come to the former LA-88 Nike Missile Base used for air defense of the city during the height of the cold war. 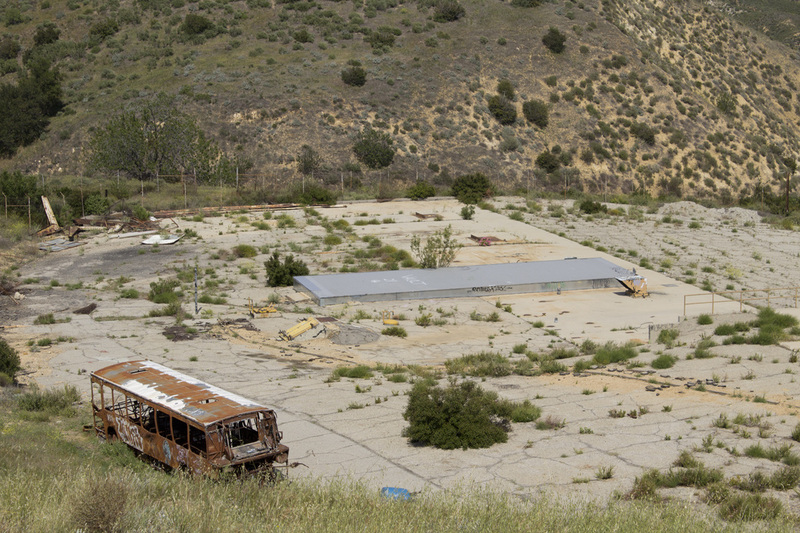 You can read more about the LA-88 Base and the Nike Missile Program on the Hike-LosAngeles Blog here. Decommissioned in 1972, there isn't much remaining of the base following a catastrophic wildfire in 2008, but the former launch pad is clearly visible from the road. As you pass the base, the road winds leisurely through the unique California Balds of Oat Mountain. Spring wildflowers make it a particularly lovely walk. 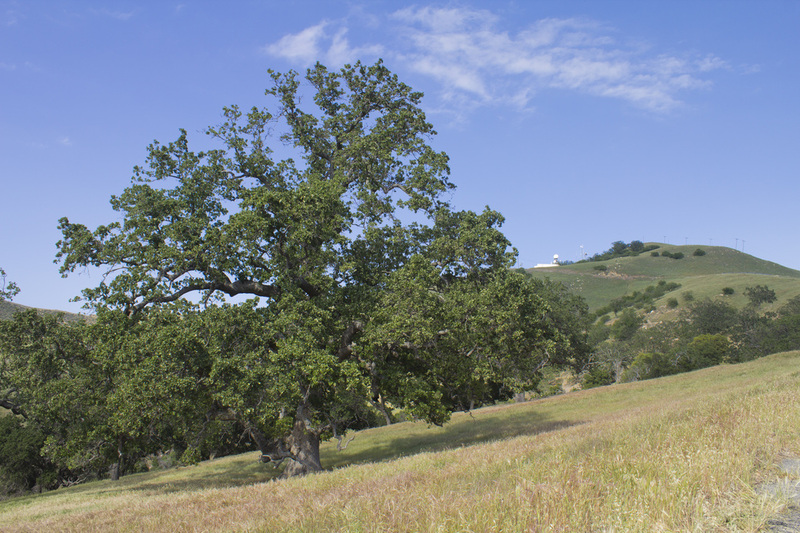 As you near the summit you will notice several oli wells on the surrounding hills, reminders of when this area was a primary source of the country's energy. 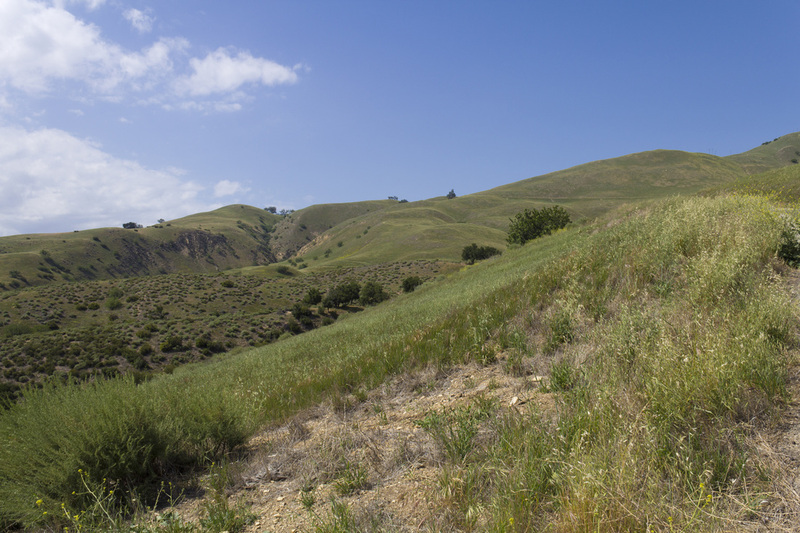 One of the things you will notice almost immediately on this hike is the sense of solitude. It is not uncommon to hike to the sumit and back without encountering another soul. In fact, the silence can be almost deafening considering you are only a stone's throw from nearly 10 million residents of the greater Los Angeles area. 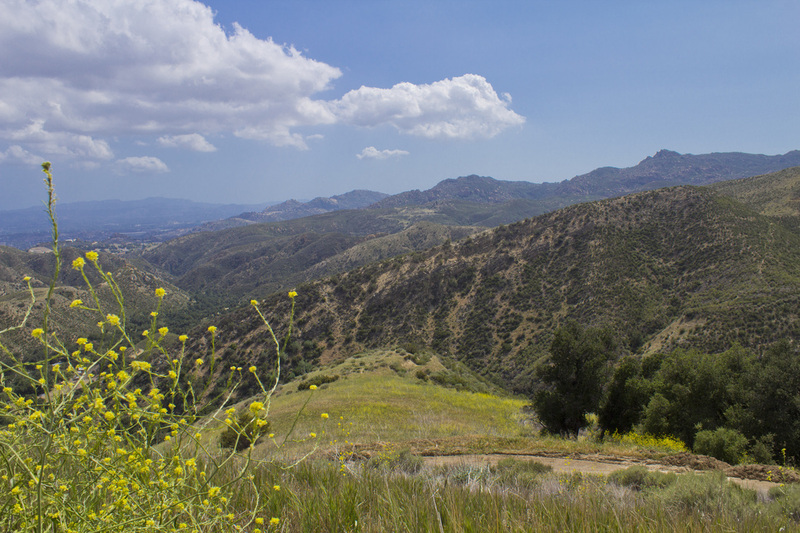 Once on the summit there are grand and sweeping views across the whole San Fernando Valley to the tops of Cahuenga and Burbank Peaks. On clear days, the upper stories of LA's skyscrapers can be seen peeking above the Cahuenga Pass. Parking in the Michael D. Antonovich Park requires purchasing a $5.00 day pass at the park's entrance. Exit CA 118 at DeSoto Ave. and head north. DeSoto Ave. dead ends about .25 of a mile north of CA 118. Turn right onto Browns Canyon Road following signs for Michael Antonovich Regional Park. 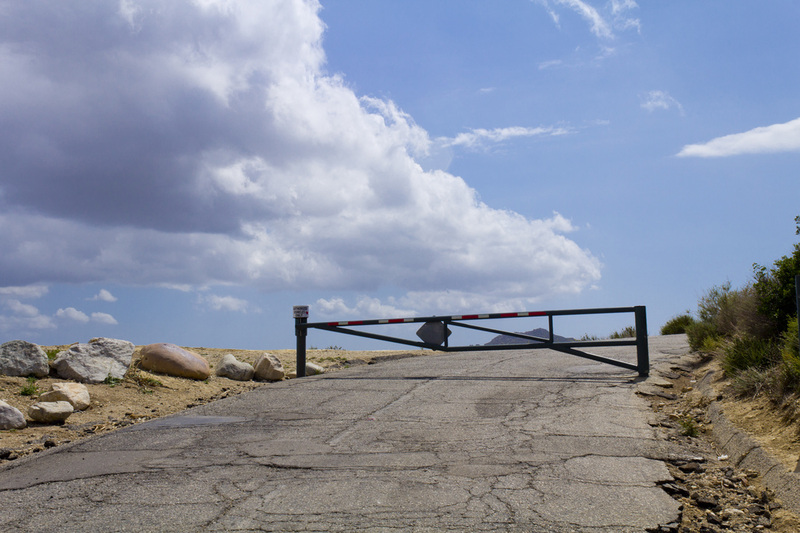 Proceed on Browns Canyon Road for approximately 3 miles to the park entrance. Browns Canyon Road is a winding twisting route through an oak-lined canyon. You will notice several No Trespassing and Private Road signs along the way. These are left over from before the park was established and the road was opened to the general public. At the park entrance pay the $5.00 parking fee at the iron ranger and continue to the parking area about .33 of a mile ahead. The third entrance to the parking area is the best. The first two tend to be bumpy and low-slung cars can bottom out. Be sure to leave your parking pass visible on the dash or risk getting a ticket. The trailhead begins at the southwest corner of the dirt parking area. off the right front corner of the bus. and have a bite to eat. 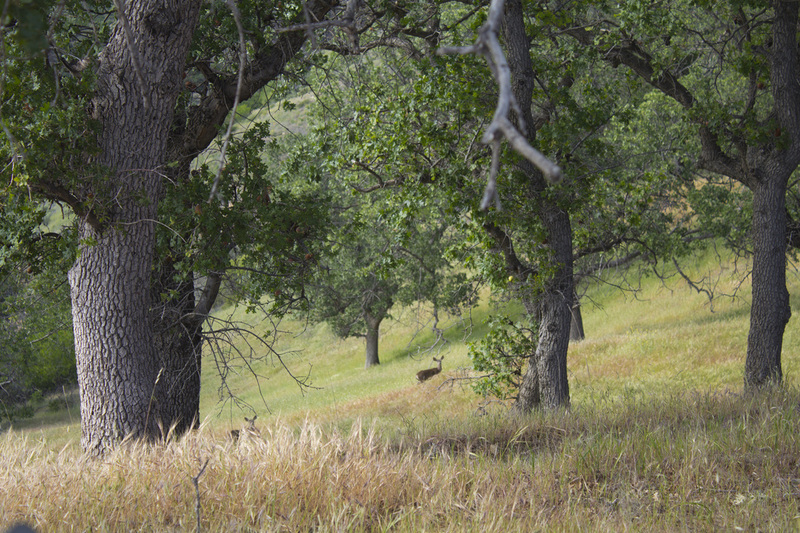 At 2.4 miles, bear right at the fork and continue uphill. towers of downtown Los Angels peeking from the Cahuenga Pass. There is also an oil pump operating nearby. make you way to the summit of Oat Mountain.